Spring is coming with longer days and warmer temperatures. Valhalla's Flower Placement Service allows your family to place a floral arrangement in remembrance on special dates and holidays. 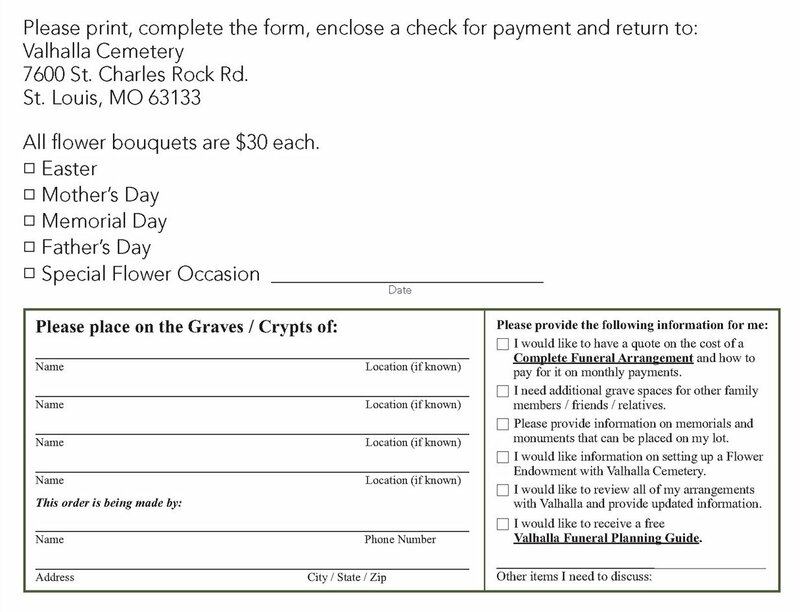 Simply print the order form below and return to Valhalla with your check. You knew your loved one better than anyone else. We’ve got years of experience. Together, we’ll design the perfect memorial or funeral service for your loved one. If you're ready to discuss the options, or simply have questions about our services, please call us at (314) 721-4900, or send us an email inquiry.